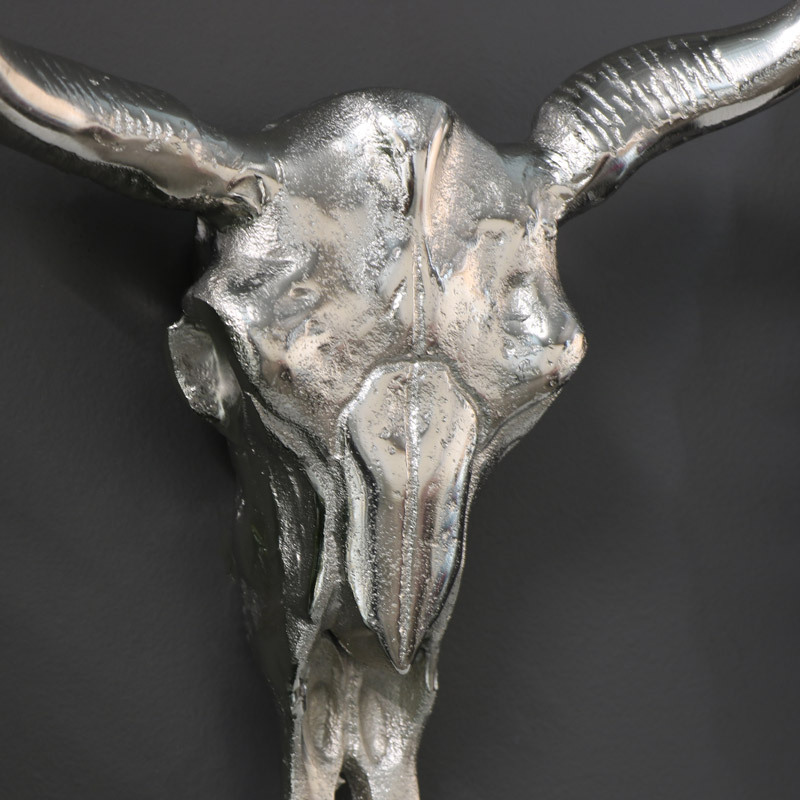 This wall mounted bull head is a great addition to your home decor and will create a dramatic statement displayed on the living room or hallway wall. Made from metal in a polished silver finish, this trophy head will make a fantastic conversation piece. The carved features give a realistic look. With many more animal heads available to choose from, all of which are friendly and taxidermy free and make an excellent alternative to the real thing. 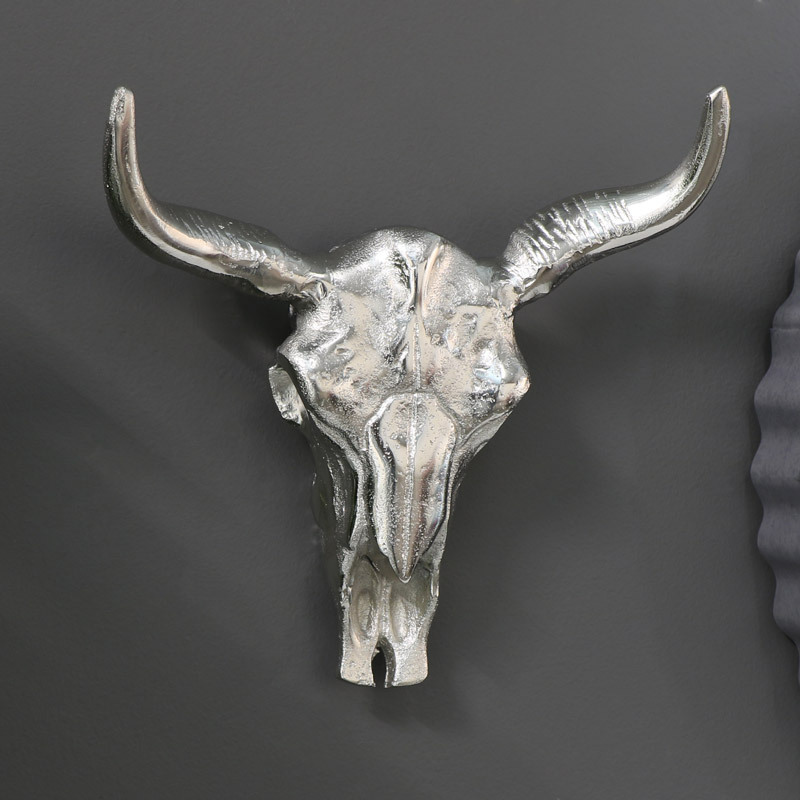 This wall mounted bull head is a great addition to your home decor and will create a dramatic statement displayed on the living room or hallway wall. Made from metal in a polished silver finish, this trophy head will make a fantastic conversation piece. The carved features give a realistic look. With many more animal heads available to choose from, all of which are friendly and taxidermy free and make an excellent alternative to the real thing.